Two weeks ago the Parliament of the World’s Religions held its annual conference at the Salt Lake City Convention Center boasting “10,000 People. 80 Nations. 50 Faiths.” Representing Islam were the Muslim Brotherhood and Saudi Arabia. That alone tells a story, but the presence of Marxists/Alinskyists and Muslim Brotherhood organizations funded primarily by Saudi Arabia driving the “Interfaith Outreach” efforts in America is a stark reminder that well-intentioned people are being duped by those with a dark agenda using the guise of “togetherness” and “tolerance” to achieve nefarious ends. 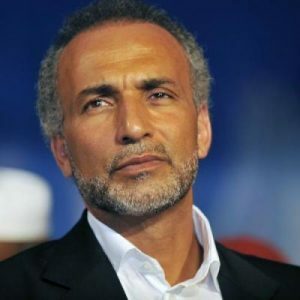 The key speakers representing Islam at the Parliament of the World’s Religions were Sheikh Salah Abdullah bin Humaid, Chief Justice and Imam of the Grand Mosque in Mecca, Saudi Arabia, and Tariq Ramadan, the grandson of Hassan al Banna, the founder of the Muslim Brotherhood. Abdullah bin Humaid was also the head of the Fiqh Assembly of the Muslim Brotherhood’s World Muslim League in Saudi Arabia. Saudi Arabia’s official legal system is the Sharia (Islamic Law) including the Hudud punishments – stoning for adultery, beheading for those who apostacize from Islam, cutting off hands of thieves – which directly contradicts all Western understanding of human rights. Those Hudud punishments come directly from the Allah in the Quran. Also featured as a speaker at the Parliament’s event was Saudi lap-dog and apologist for Islam and the Muslim Brotherhood, John L. Esposito of Georgetown University’s Prince Alwaleed bin Talal Center for Muslim-Christian Understanding. Bin Talal is one of the wealthiest Saudi princes in the world and funds the global jihad to the tune of millions of dollars annually. Funny, I thought Georgetown was a Catholic University. Tariq Ramadan continues to travel the world with a smile on his face fooling Western leaders, especially religious leaders, who view him as a nice man with a peaceful message. Yet, as one of the leading faces for the International Muslim Brotherhood, he supports Civilization Jihad to overthrow un-Islamic governments and replace them with Sharia because that is the Muslim Brotherhood’s stated goal. The Islamic Society of North America (ISNA), the Islamic Circle of North America (ICNA), the Council on American Islamic Relations (CAIR) and affiliates of these organizations are the key drivers of the U.S. Interfaith movement. ICNA is a part of the Muslim Brotherhood’s U.S. efforts; ISNA is a Hamas support entity; and CAIR is a Hamas organization according to evidence in the largest terrorism financing and Hamas trial ever successfully prosecuted in U.S. history (US v HLF, Dallas 2008). “Left-wing religious” organizations like the Virginians Organized for Interfaith Community Engagement (VOICE) are directly partnered with the Saul Alinsky organization the Industrial Areas Foundation (IAF). The VOICE website is directly tied to IAF – www.voice-iaf.org. VOICE dutifully follows the guidance provided by the Muslim Brotherhood Islamic Centers with which they work. 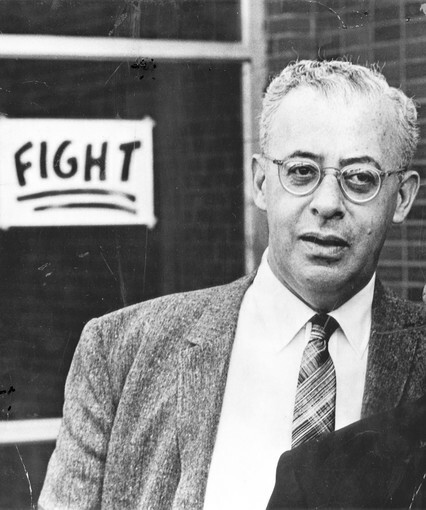 Saul Alinsky was a Marxist revolutionary whose book Rules for Radicals details how to penetrate and overthrow societies. It was dedicated to Lucifer. [note: President Obama studied Alinsky’s lessons and became a “community organizer” – a term coined directly from Rules for Radicals]. Why is it so difficult for Christian leaders to understand Islam? When Christians conduct “outreach” to Muslim communities, they must know the ground truth about what they are getting into, especially when they send others in to do this kind of work. Should Saudi Arabia, the Muslim Brotherhood, and Marxist Revolutionaries drive American “Interfaith Outreach?” Whether they should or shouldn’t is not truly the point. Currently, they are. It is time for the flock to demand their pastors speak the truth about Islam, no matter the cost. Christians need to educate themselves about the dangers of Islam. Our former President George Bush made the statement that, “Islam is a religion of peace.” Study the history of Islam and Mohammed, and you will find that the statement is completely false. Yes, there are Muslims who want to live in peace, but, unfortunately, when push comes to shove they will almost always side with radical Muslim jihadists. Christianity has nothing in common with Islam. Christianity represents light and love, while Islam represents darkness and death. The God of Christians and Jews is Jehovah or Yaweh who bears no resemblance to the Islamic god, Allah. The Christian God desires to have a relationship with His people. The god of Islam, Allah, is an unknowable god who does not desire to have a relationship with his followers. Our God sent His son Jesus to be a sacrifice for our sins. Allah wants Muslims to give their sons as a sacrifice to him through jihad. Christians need to understand the term abrogation. When Mohammed was first creating his religion, which seems to be based on the Babylonian Moon god, he was weak and had few followers. He wrote that Muslims should try to get along with their neighbors and try to convert them by gentle persuasion. Years later when he was a strong warlord he wrote that if the infidel would not convert to Islam or pay the jizya tax, they should be beheaded. If anything that Mohammed wrote later conflicted with what he wrote earlier, then what he wrote later always supercede or nullified what he wrote earlier. This is called abrogation. When claiming that Islam is peaceful, Muslims will always point to the earlier verses in the Quran and ignore the later, warlike verses. I have tried to reach out and have gotten many responses: ‘I do not want to delve into that since it is so negative…’, and the most popular that comes from my own faith – the Catholic faith – silence or a willingness to accept the deception/propaganda as truth. Unfortunately, the Vatican II catechism has a big problem in it and it is as if the clergy would rather stay brain dead instead of question it. And I have been to some speakers where priests even would rather condemn the Jews, not use labels such as ‘moslem’, or ‘islam’ and would rather avoid that subject. Personally, I am sick of the lot of them and find them disgusting. But then… you even mention that a Catholic University in your article – look how the Catholics in charge allow such jihadists (by the word/pen) into their college as instructors. They are selling their souls for Saudi and probably Muslim Brotherhood money. I think that they endanger their students and their futures and the futures of their children to allow such ilk to get away with their propaganda (jihad by the word/pen). I’ve come to believe that this is not the question: “Why is it so difficult for Christian leaders to understand Islam?” I think many do understand it (or understand it in a way they want to) — and like it. Nobody says that because you’ve got Pastor or Minister or Rabbi in front of your name guarantees that you really have faith, or that you’re particularly bright. I have been saying for a long time that we need a revival among the “conservative” clergy to stand up to and defrock the liberal clergy. The conservative clergy are the natural leaders to start the grassfire. There are those who have begun to unite. As always, it seems the good always have a harder road to work than the . . . others, call ’em what you want.